The head of the north-east rugby referees organisation has sent a letter to clubs in the region, voicing concern at increasing abuse of whistlers from a “wide cross-section” of people on and off the pitch. The letter by Ray Mellis, president of Aberdeen and District Rugby Referees Society (ADRRS), follows instances of “unacceptable and abusive behaviour” directed at officials. It states the problem has grown so bad at some clubs that referees, who are not compelled to accept match appointments, have “informed the society there are certain clubs they do not wish to be appointed to in the future”. Mellis told the Press and Journal he was concerned about the rise of abusive incidents at youth level, and in many cases “parents were the guilty parties”. He stressed the offenders were in a minority, but said rugby administrators must get to grips with the problem. He said: “There have been several instances in recent weeks of unacceptable and abusive behaviour directed towards referees. “Those responsible comprise a wide cross-section, including players, coaches, club officials and supporters. His words were backed by Kevin Wyness, ex coach of Aberdeen Grammar FP, who now works with the Caledonia Region. He said: “I’ve been critical of officials in the past but one thing is for sure: without referees there is no game, and everybody in rugby has to appreciate that fact. “Ray Mellis is a great ambassador for rugby, but I witnessed a recent under-18 match where he himself was abused. 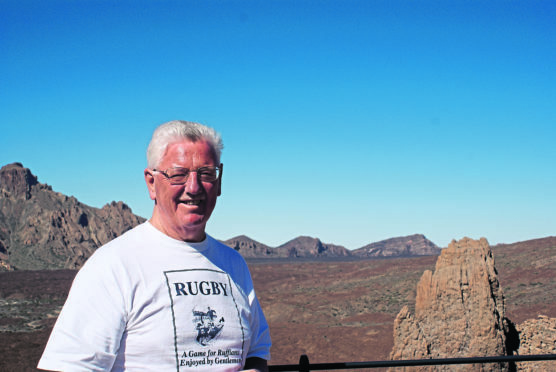 Aberdeen Grammar honorary president Jim Rae said: “It is somewhat regrettable that it has been necessary to issue and circulate this letter among our local rugby clubs. “As the National 1 League representatives for the North, Aberdeen Grammar Rugby wholly supports the spirit of this communication and fully endorses the sentiments therein and subscribes to the code of conduct to which it refers. “In our match programmes for home games, for example, this is explicitly highlighted in my notes. “That said, there must continue to be a place for humour, boisterous vocal support and occasional raised voices. These have always been part of the rugby experience. “However, there is a distinct difference between this enthusiastic involvement in the game and any form of pernicious challenge or personal abuse of match officials. Mellis has urged all clubs in the region to weed out those who bring the game into disrepute. He added: “It would be unfortunate if this was to escalate with the inevitable impact it would have.